The first major retrospective celebration of the designer Laura Ashley will be held at Bath & North East Somerset Council’s Fashion Museum – with fans being asked to share their memories of the much-loved fashion label. The Fashion Museum will showcase over 70 Laura Ashley dresses in a special summer exhibition on display from 13 July to 26 August. The display will capture the Laura Ashley look that in the 1960s and 1970s inspired a generation of women to dress as though they were the milkmaid Tess of the d’Urbervilles from Thomas Hardy’s novel, or perhaps Cathy from Emily Bronte’s Wuthering Heights. To coincide with the exhibition, Laura Ashley is inviting people to share their treasured photographs and memories of the designer for a competition running on its Facebookpage from early June. A selection of these will also be shared by the Fashion Museum through its Twitter feed (follow @Fashion­_Museum #LauraAshley60) and Facebookpage (search for “Fashion Museum”). By the tail end of the swinging sixties the bright and shiny bubble of optimism had burst and so designers found inspiration, and comfort, in nostalgia for times gone by. There was an appetite for escapism in the general populace and a move back to nature, with top TV hits such as Upstairs Downstairs and The Good Life. The Laura Ashley look was described by The Daily Mirror’s fashion editor Felicity Green on 1 January 1970 as ‘soft-core femininity’ and ‘Victorian-type demureness’. Councillor Ben Stevens (Lib-Dem, Widcombe), Cabinet Member for Sustainable Development, said: “Bath became home to one of the first Laura Ashley stores in 1971, and now the city houses one of the world’s great museum collections of historic and fashionable dress, that includes a fine collection of signature Laura Ashley dresses. Bath & North East Somerset Council is therefore proud to host this celebration at the Fashion Museum to offer a wide variety of culture and creativity to everyone. The Fashion Museum occupies the basement at The Assembly Rooms. Angela Jeffery, Archivist at Laura Ashley Ltd, said: “We’re very excited to be working with the Fashion Museum on the occasion of Laura Ashley’s 60th anniversary and we can’t wait to see the end results in July and August. The Fashion Museum has been designated as a collection of outstanding national significance, as well as being listed as one of the world’s top 10 fashion museums by the international broadcaster CNN. 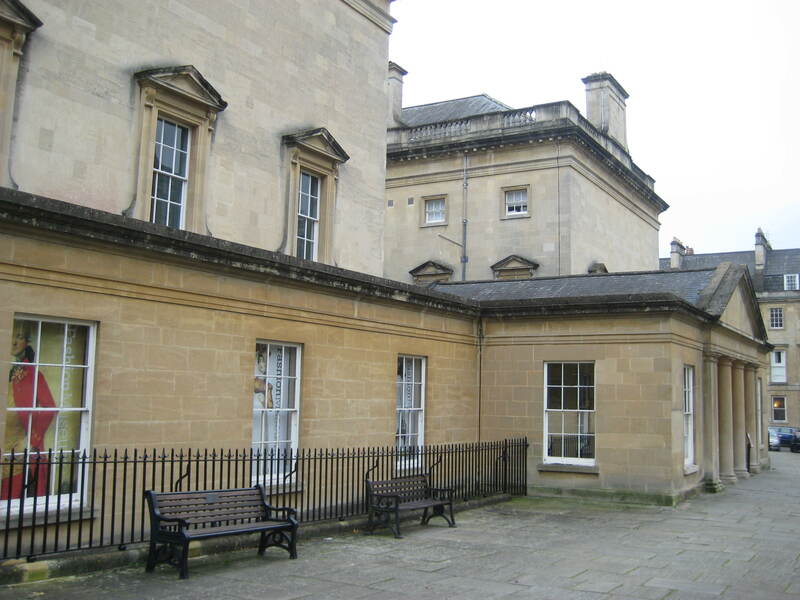 The Fashion Museum, on Bennett Street, Bath, is open daily from 10.30am to 4pm (exit 5pm). It currently features the Dress of the Year and the museum’s 50th anniversary exhibition “50 Fabulous Frocks”. For more information visit www.fashionmuseum.co.uk or call 01225 477789.